R.L. Pruitt Construction takes great pride in every home we build, with each experience being genuine and unique. We have had the privilege to build for a diverse clientele, making our 45 plus years of experience authentic and unparalleled. Doug Pruitt, President and General Contractor, has been assisting customers in building their ideal home(s) for over 20 years. He has been successful in keeping projects within the necessary budgets and utilizing the space desired by each individual customer to its fullest. Dedicated to building homes while maintaining competitive pricing and the highest standard of quality are just a few of the things that set our construction company apart other contractors. R.L. 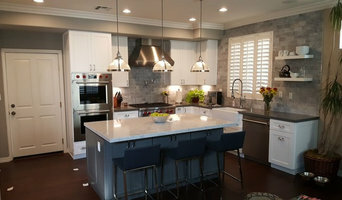 Pruitt Construction has built a reputation based off of professionalism and quality workmanship parallel to no other. We would be happy to assist you in any way possible and can walk you through this entire process inside and out down to the very last detail. We have enjoyed building homes all throughout the Inland Empire and have been working with many of our suppliers and subcontractors for many years. We are consistent with the times and have always kept up with changing technology and the latest innovations. The Luxury Home Designs of Martin Berneman Martin Berneman founded Berneman Creative Design in 2012. Each of our homes are custom designed to integrate into the varying neighborhoods of Los Angeles. All of our homes are high-end that range from 3,000 square feet to over 4,500 square feet and sold for between $1.0 million and $3.0 million. Berneman Creative will serve as your developer and designer. We can take on any project, whether it is starting from the ground up, or simply adding a section to your home. We will work with you step by step to create the home you have always wanted to live in. What makes us different then your average designer is that we are a one-stop shop. When you come to us you do not have to worry about a thing. We will take care of it all - concept design, budgeting, project management, plans, and lets not forget our bells and whistles! We work closely with award winning architects, structural engineers, landscape architects, and contractors who will work together to create your vision. If you have any questions, feel free to contact us! With over 28 years of active construction experience, we’ve built and expanded quality homes throughout Southern California, and in doing so, we’ve been able to learn every design trend or style that our clients demand today. Besides being familiar with every construction style and home designs, we put major emphasis on details of the job, overall quality and workmanship, project scheduling, smooth operation and sequencing of the project, and most importantly a solid warranty to back up our product. Whether it’s a home addition or a ground-up construction project, we want to make sure client’s life style and design ideas are both melted together into the project. That’s what we call a successful build. When building a home addition or a remodel, it is extremely important and crucial for the addition or remodel to make sense and when it’s all completed, it should look as part of the house and not an added element. And when building from the ground up, that’s when clients can tailor every room and area based on their needs and lifestyle. Allow our expert staff to be involved in the initial phase of your project so you can see the difference. JMG Construction was started in 2006 with the goal of contracting the most talented designers, architects and tradesmen who have the skills to transform our clients’ vision into reality. We have over 20 years building experience, personally seeing to every detail utilizing a hands-on approach to all projects. JMG Construction creates for our clients a beautiful place to dwell for years to come. Renovatio Custom Build is a general contracting company and custom home builders with extensive experience in a broad range of custom projects, high-end residential homes, estate remodeling and new construction. From modern architectural to the restoration of old craftsman homes and green construction, we proudly provide quality craftsmanship, a high level of management and customer service. BAR Design + Construction works closely with some of Los Angeles’ most talented and prominent architects to create high-end custom homes for clients in Southern California. 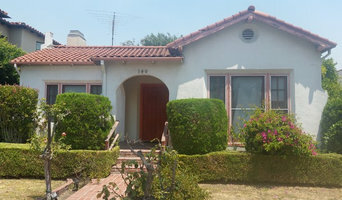 We have built new houses and executed major renovations in areas including: Beverly Hills, Pacific Palisades, Santa Monica, Hancock Park, and Hidden Hills. 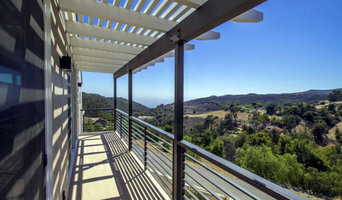 From hillside projects to beach properties, from historic Mediterranean homes and masterful traditional estates to inspiring contemporary homes, in each case, we seek to bring the homeowner’s vision to life, delivering uncompromising quality, attention to detail, and personalized client service from start to finish. Since 1965, Standard Pacific Homes has been synonymous with quality construction. Whether you’re considering a single-family home, townhome or condominium, we deliver exceptional design and quality construction that stands the test of time. Our commitment to building innovative homes makes us a smart choice for today’s families. Our team of award-winning architects and designers continuously explore new ways to embody casual elegance and seamless flow with home designs that also maintain the distinctive architectural details and timeless craftsmanship that Standard Pacific Homes has become known for. From the artistry of our design to the excellent quality of our construction, you’ll find ingenuity and enjoyment built into every new Standard Pacific home. As a homebuilder known for quality construction, customer service and beautiful home designs, we invite you to visit one of our communities and experience the Standard Pacific Homes difference for yourself. 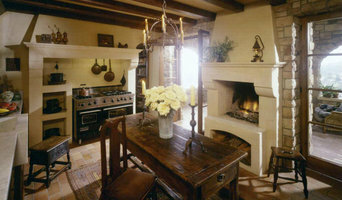 We agree with the age old adage: home is where the heart is. That's why we pride ourselves in building healthy, quality homes crafted with care. We are Spinnaker Development. 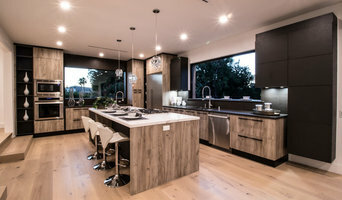 The premier homebuilder and developer in the greater Newport Beach area. We are a full service general contracting and construction management firm specializing in the new construction of luxury custom homes. We are an award winning firm recognized for all phases of construction including design, project execution and customer service. We don’t simply build houses. We build better lifestyles. We build with vision. A vision born from open communication with our clients. A vision that combines our experience with your wants and needs. Because every project is unique and we believe in a holistic approach that values quality, beauty and livability above all else. Building our clients dreams is our passion. Building lifelong relations is our pleasure. We look forward to welcoming you to the Spinnaker family.